Description: Massachusetts Certified Arborist, CT Licensed Supervising Arborist, ISA Certified Arborist, NOFA Accredited Organic Land Care Professional. Description: Mod Pots & Plants is a small business that creates custom designed concrete pots with unusual succulents. Race Mountain Tree Services, Inc. Description: Tree removal, general tree care, tree fertilization, plant healthcare & consulting. 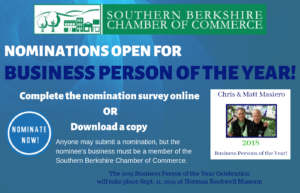 Check us out on Facebook, Instagram & the Southern Berkshire Chamber website. Description: Family owned and operated farm and nursery. Selling Fir, Hemlock, Spruce, White Pine and Christmas Trees. Description: Sweet Tree Service, LLC is a safe, professional tree care company providing pruning and trimming, takedowns and removals, fertilization, storm damage removal, stump grinding, cabling and bracing, and tree and hedge planting. Description: Celebrating 60 years in 2017; Ward’s Nursery offers unique trees and shrubs; hard-to-find annuals and perennials; garden tools and accessories; exotic houseplants; outdoor furniture; pond supplies; and eclectic garden gear. Garden advice is given all year. Visit the family-friendly seasonal Christmas displays for holiday decor and gifts.